Fair Use vs. “Tolerated Uses”: Protection Only for the Powerful? Last week, the House Judiciary Committee issued a press release on its website related to its voting on an immigration bill. While others debate the merits of the bill itself, what seemed to capture people’s attention was the release’s extensive use of animated reaction gifs, consisting of clips taken from copyrighted works. First Round of Lawsuits Filed in Net Neutrality Case. Now What? Yesterday, the U.S. Telecom Association (USTA), the trade association for incumbent telecoms like Verizon and AT&T, and a Texas Wireless Internet Service Provider called Alamo Broadband, filed separate appeals from the FCC’s Order reclassifying broadband as Title II and applying net neutrality rules. (This Ars piece links to both Petitions). USTA filed in the D.C. Circuit, while Alamo filed in the 5th Circuit - a court that is typically more hostile to the FCC. 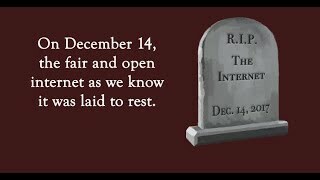 Today is FCC Net Neutrality Order Day! What Happens Now? 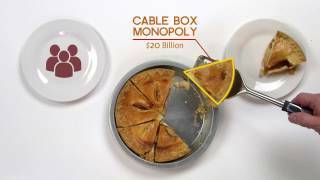 Word is today the FCC will release its network neutrality order reclassifying broadband as Title II. I’ll update with a link when that happens. Comcast is unique among large Internet Service Providers and cable companies in how it can undermine online video competition in ways that go far beyond net neutrality violations.